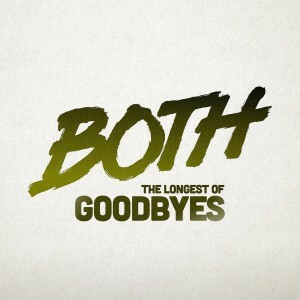 Following on from the mammoth success of their debut single ‘Straight Outta Line,‘ the Belgian/French duo Both are back with an even bigger dance anthem in ‘The Longest of Goodbyes.’ Their debut single was a radio smash across Europe, setting the blogosphere alight and in the process racking up 1m Youtube views and over 2.5m Spotify streams. Their second offering is another dancefloor destroyer packed full with emotion, a combination inspired by the music of legendary producers Roger Sanchez and Eric Morillo. It’s this mix of massive club beats and impassioned vocals that embodies what Both is about; the coming together of man and machine. Whilst previously remaining anonymous, Both have now emerged from the shadows as mysterious, Manga-inspired half man, half machine creations, symbolic of their approach to their music, where the electric energy of the machines combine with real human emotions to create something very special. Whilst there are evident influences from nu soul, classic house and funk, all Both’s ouput is primed for enraptured dancefloors in the world’s biggest clubs.